Cattaneo Commercial are pleased to announce the opening of a new personal fitness centre at Chichester House, London Road, Kingston upon Thames, Surrey KT2 6NH. 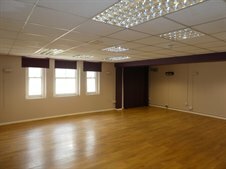 The unit, comprising 715 sq ft, will be re-fitted and opening soon. If you have a requirement for premises in the Kingston area, please do not hesitate to contact either Andy Armiger or David Keates on 020 8546 2166.